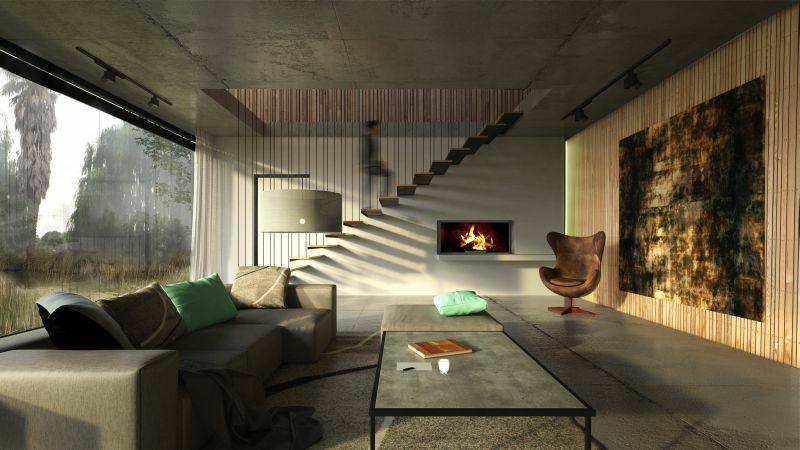 A five-unit residential development in Linden, Johannesburg, owned and designed by Marc Sherratt Sustainability Architects, achieved a triple net-zero certification from the Green Building Council of South Africa (GBCSA) for the carbon, water and ecology categories. The project was also awarded the Runner Up: Net-Zero Innovative Project Award in the Green Building Council Leadership Awards 2018. Situated on a 2 500m² long, narrow brownfield site in an area that was once grassland, wetland and a koppie, restoring the indigenous ecology became the controlling device for the architectural design, according to Marc Sherratt. Through an extensive research process and consultation with a wetland specialist and an ecologist, it was decided to recreate a wetland on the site and to develop buildings that would sit sensitively in the landscape. Wetlands provide evaporative cooling of about 2°C and are nature’s way of filtering and purifying water. This ecosystem facilitates large volumes of water being stored and recycled on site, which addresses one of the biggest challenges under a net-zero certification for water by negating the need for large water storage tanks. Water is then filtered slowly using the slight slope of the site, ultimately resulting in potable water for residential use. Sherratt points out that when the cost of the system is shared between five units, it will be amortised relatively quickly. According to Solid Green sustainability consultant on the project, Annelide Sherratt, the total collection area is approximately 960m² and with an estimated average annual rainfall of 655 600 litres and the predicted consumption of the development being 643 100 litres, the project is expected to achieve a surplus of 12 500 litres of harvested water per year. “The project will have a three-step filtration system, which catches leaves and plant materials, filters water down to ten microns through a micron screen filter and then purifies it to drinkable quality. The storage tanks of filtered water will have more than five days of water available for use at all times,” she states. In addition, since wetlands naturally are a major source of food for communities providing, among others, fish and freshwater mussels, Sherratt’s vision for this development is that unit owners will be offered the option of an aquaculture system, which, together with the option of a rooftop urban farm, will allow them to produce their own food. “This challenges the Western concept of sustainability and proposes a more African approach that embraces practical benefits for the community,” he says. The Linden Vleihuis embodies an ambitious vision for integrating true sustainability and reintroducing endemic biodiversity into an existing urban context. 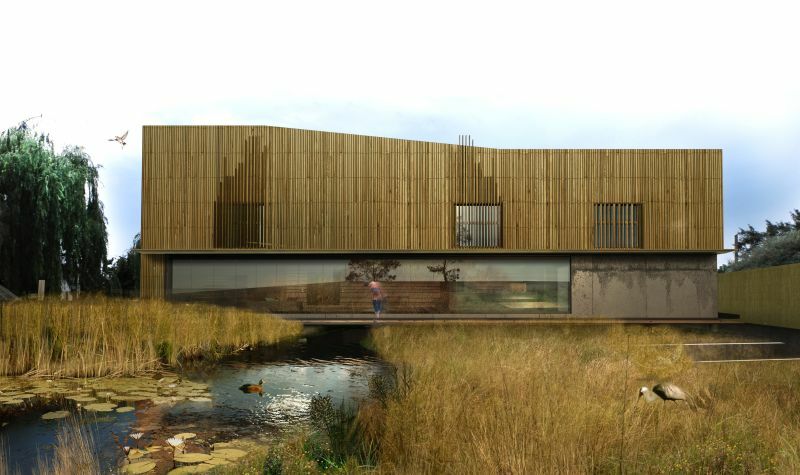 The building itself touches the ground at two points only, with the rest of the structure floating above the wetland. In addition to passive design principles with lightweight Portland cement concrete construction providing good thermal mass, each unit will be fitted with Energy Star appliances, a gas stove, a solar hot-water heating element and a 3kW solar PV system with 15kWh of storage. Each of the five units has its own private view and the primary spaces are north-facing, with open-plan kitchen and living areas on the ground floor and bedrooms on the first floor. The roof areas have been designed to accommodate individual needs such as children’s play areas, urban farming and outdoor entertainment areas. The ground floor spaces have double-glazed stacking door systems, allowing seamless integration of interior and exterior spaces, while the upstairs rooms have sliding glass doors with timber screens to minimise solar gain. Skylights bring in additional natural light and illuminate the internal natural textures. Finishes are as natural as possible, without painting or applied floor finishes which would increase the building’s embodied energy. The intention is to offer residents three options for internal wall cladding – reeds which could potentially be grown on site, recycled timber or Rhino Wood – and to use a system that allows the cladding to be changed or adapted over time. A triple net-zero certified project, the Linden Vleihuis raises the bar for residential developments that seek to address the impacts of climate change. “Net-zero represents the beginning of the first true response to climate change from the building industry,” adds Chilufya Lombe, sustainability consultant and director at Solid Green. The project is not currently targeting the net-zero waste category, as this option is not open to projects in the design phase, but the developers hope to target this category in the as-built and operational phase of the project. Full thanks and acknowledgement are given to Solid Green for the information given to write this article. • Architect and project manager: Marc Sherratt Sustainability Architects. • Wetland specialist: Emifula Riverine Consultants & Associates. • Mechanical consultant: Drikus van der Walt. • Wet services: Green Planet Engineering Services. • Quantity surveyors: Russell Irons & Associates. • Sustainable building consultant: Solid Green Consulting. Main image: The Linden Vleihuis project demonstrates innovation in terms of sustainability and biomimicry, while being contextually relevant.